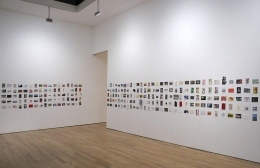 The James Cohan Gallery is proud to host the 10th Annual Postcards From the Edge fundraiser benefiting Visual AIDS, New York's premiere non-profit organization working between art and AIDS. A Preview Cocktail Party will be held on Friday November 30 from 6:00PM - 8:00PM. Admission is $75, and will include a raffle ticket to win first choice of the one and only card to be taken down that evening. The benefit sale will open World AIDS Day Saturday, December 1 from noon – 6:00PM and continue Sunday, December 2 from noon – 4:00PM. The sale is open to the public with a suggested admission price of $5. 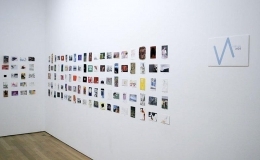 Known within the art scene as the most exciting and affordable way to add to a collection, Postcards from the Edge offers a unique opportunity for buyers to acquire original, postcard-sized artwork for only $75 while supporting the activities of Visual AIDS. For details, visit www.thebody.com/visualaids Offered on a first-come, first-served basis, each piece is exhibited anonymously, and the identity of the artist is revealed only after the work is purchased. With the playing field leveled, all participants can take home a piece by a famous artist, or one who's just making his/her debut in the art world. Nonetheless, collectors walk away with something beautiful, a piece of art they love. 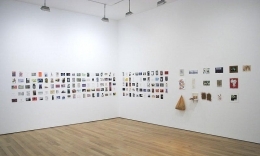 Most importantly, by participating in Postcards from the Edge, collectors support the activities of Visual AIDS, enabling the organization to produce AIDS-focused contemporary art programs and provide supplies and technical assistance to artists living with HIV/AIDS, many who are unable to continue producing work without such aid. 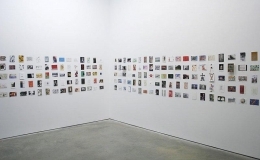 All Postcards from the Edge proceeds—100% of all sales—support the programs of Visual AIDS. Founded in 1988 by arts professionals as a response to the effects of AIDS on the arts community and as a way of organizing artists, arts institutions, and arts audiences towards direct action, Visual AIDS has evolved into an arts organization with a two part mission 1) Through the Frank Moore Archive Project, the largest slide library of work by artists living with HIV and the estates of artists who have died of AIDS, Visual AIDS historicizes the contributions of visual artists with HIV while supporting their ability to continue making art and furthering their professional careers. 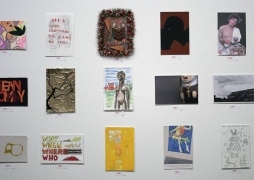 2) In collaboration with museums, galleries, artists, schools, and AIDS service organizations, Visual AIDS produces exhibitions, publications, and events utilizing visual art to spread the message "AIDS IS NOT OVER."